Piers Morgan Tonight not fun to watch! Piers Morgan is NOT a good listener, which IMO makes him a poor interviewer. He fires question after question at his guests. The guest barely has time to formulate an answer to one question before Piers fires another question on a different subject. He ruins every interview by inserting his own opinions. I'm not watching to find out his opinions. I would like to hear what his guests have to say. He needs to STOP interrupting and listen to his interviewees. I suppose CNN will let this go on forever. At one time Katie Couric was in the running to replace Larry King. She is a fabulous interviewer...well prepared and confident. It is uncomfortable to watch Morgan who seems like he is trying too hard and because of low ratings may realize his job is on the line. 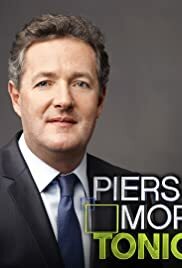 Go back to America's Got Talent, Piers. You were excellent on that show. We all wanted to hear what you had to say then, but on this new show, you are not the star. Your guest is. 35 of 41 people found this review helpful. Was this review helpful to you?